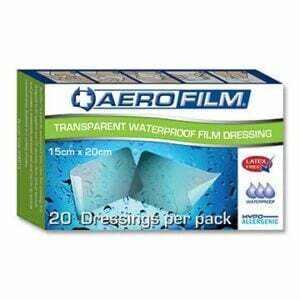 The AeroPlast™ Premium Weight Fabric Dressing is a premium hard wearing dressing with our SupaBond™ extra strong adhesive and is recommended where a premium long wearing durable plaster is required. 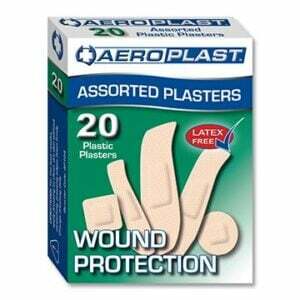 This invention brings unparalleled convenience to dispensing of plasters with ease for the user at no additional cost. 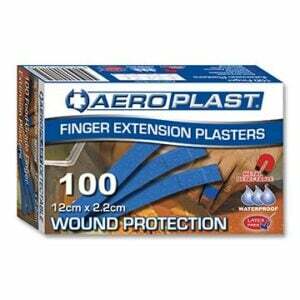 AeroPlast™ VEND™ features a proprietary, perforated rip off top for ease of removal and a proprietary vending spring providing the ease of dispensing to the very last plaster. 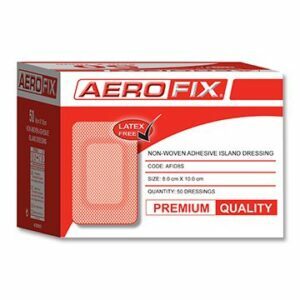 There is an AEROPLAST™ Premium Fabric dressing for any application with specialized fingertip and knuckle dressings, large and small patches, standards and extra wide plasters and even a dressing strip that can be cut to size to suit awkward wounds. 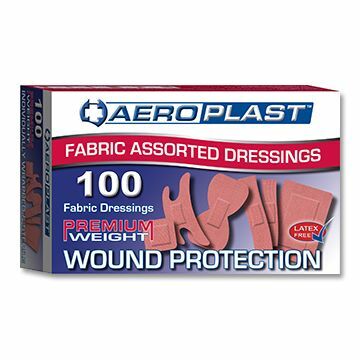 A wound can always be cared for by insisting on AEROPLAST™ Premium Fabric.